It's week 11 and you all know what that means! Block #6 is here and ready to be sewn. 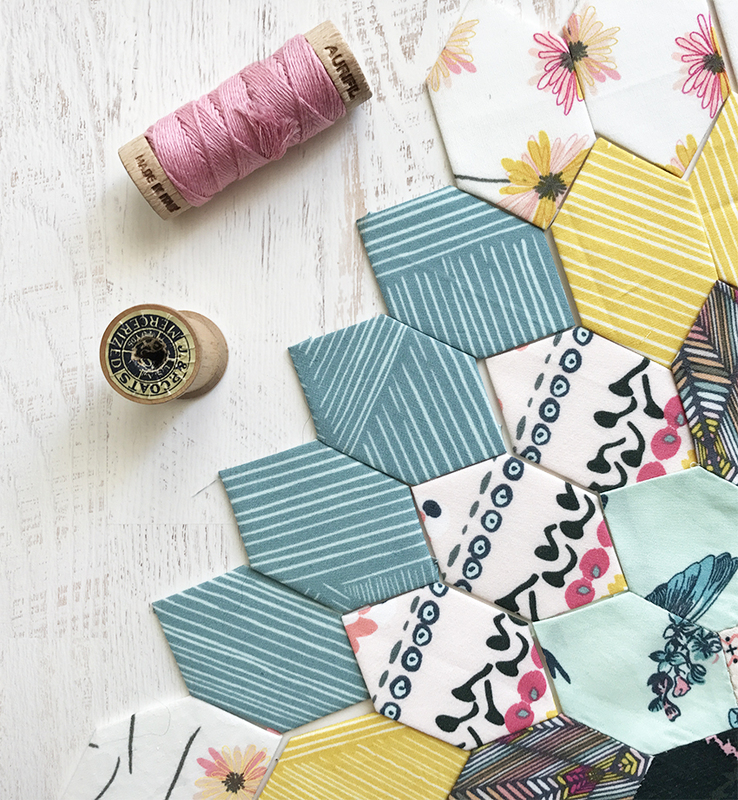 This week's block is called Honey Comb Candy and this beauty will make you want to smile and start sewing right away. This is how my Block 6 is coming along, what do you think? So get on the Block #6 craziness and download the Template to start creating this stunner. 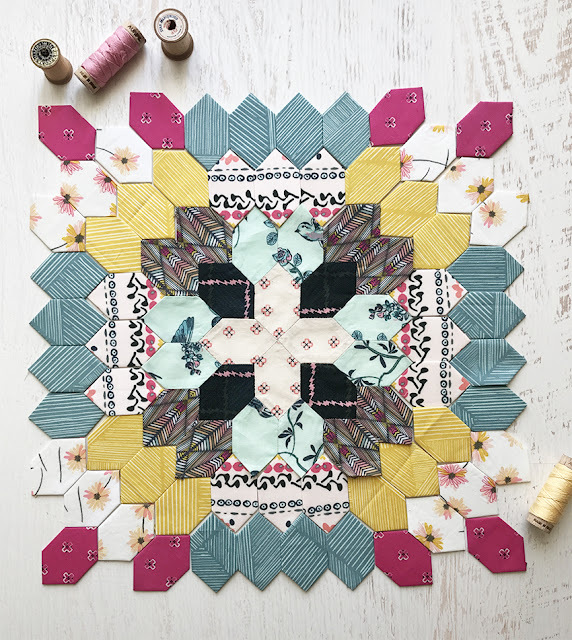 I am loving all the amazing and unique Epp blocks that are being shared in the #EppParty hashtag, keep up the great work lovelies! This week's awesome prize is acrylics from Cabin in The Woods. 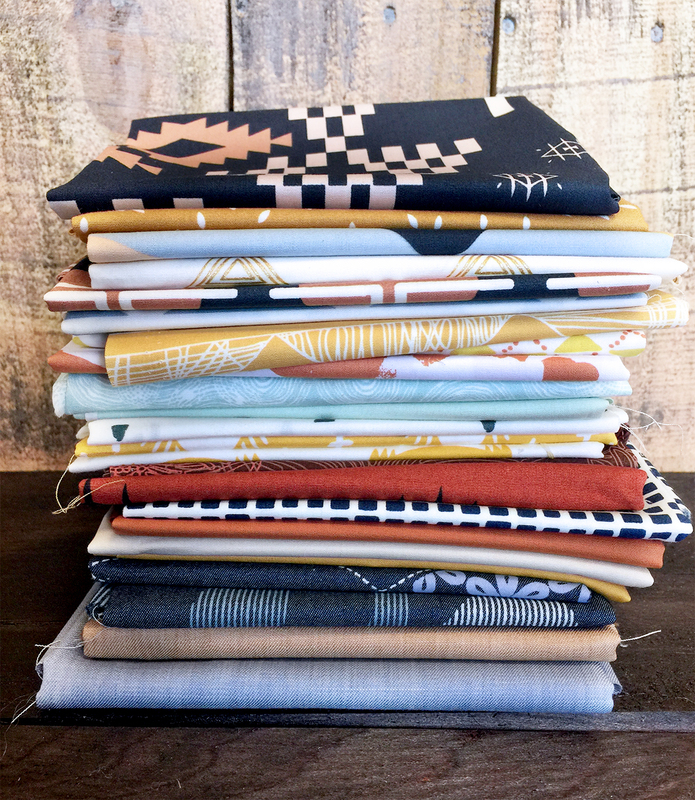 Also Mister Domestic will be giving away a fun fat quarter bundle of stunning Art Gallery Fabrics prints. Isn't this bundle life? I love the way Mathew curated it...the colors, the prints, the textures....this is perfection! So speaking of prices, the winner for last week's prize is Seamstress Kris Congrats! So are you ready to party? Let's all go to our favorite sewing spot and start creating Block #6! Awww you are so welcome Carolina! Oh goody! Looks like POTC to me! Congrats to Seamstress Kris on her win! Love this all the way! I really liked this fabric work done here. It looks excellent. Recently went to an art show at one of Los Angeles venues. It was really awesome and loved the art depicted there. Really happy to attend such an event with my friends. Hope will get a chance to attend some other time too.